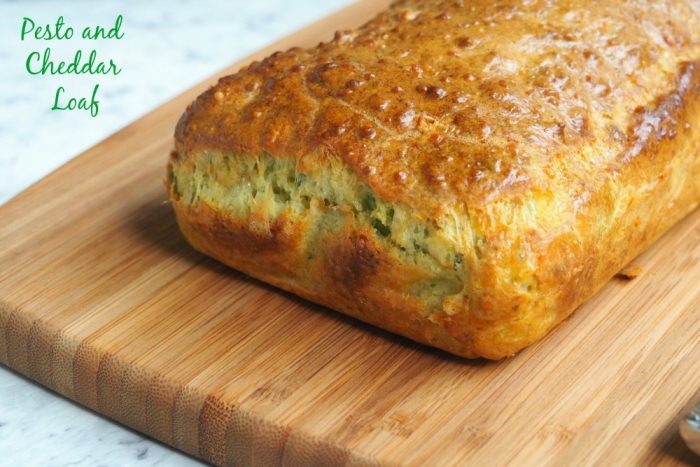 It’s been a while since Cathy shared her recipe for that delicious Olive Loaf , a recipe which my mum tried and loved and has been making with delicious regularity ever since. She’s also been been “reminding” me how good it is and how I really need to make it. Everyone knows mother always knows best, especially when it comes to recipes, so I finally decided to give this loaf a go. 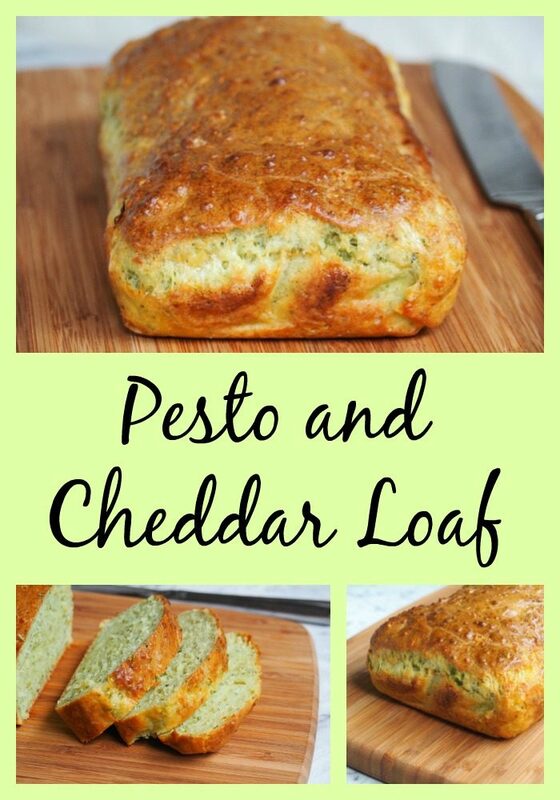 The only problem was I had no suitable ingredients, just some cheddar and some of my uber addictive but utterly delicious Kale Pesto, and that’s how this Cheddar and Pesto Loaf was born. What started out as a culinary experiment has turned into one of our favourite baked goods ever! After embarking on my pesto adventures, I discovered that the parmesan in pesto is not vegetarian. 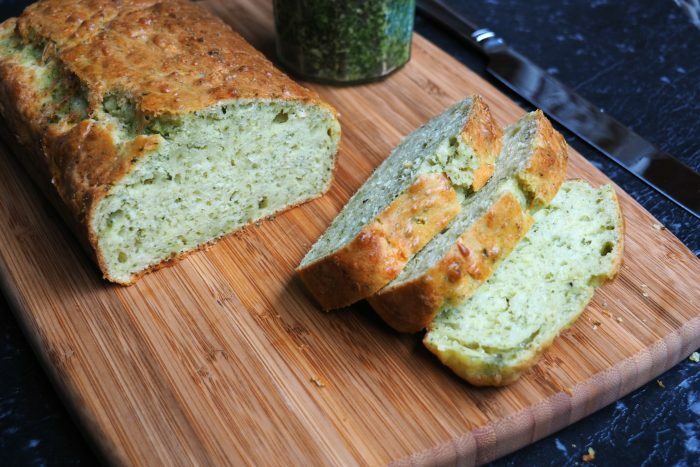 I’ve since found a way to “veganise” my pesto which you can see in the original recipe, and I’m pleased to report that when baked into this loaf the vegan version is as flavourful as the parmesan pesto. Fist bump! Naming this creation was a bit tricky because it’s loaf shaped but not bread like at all. 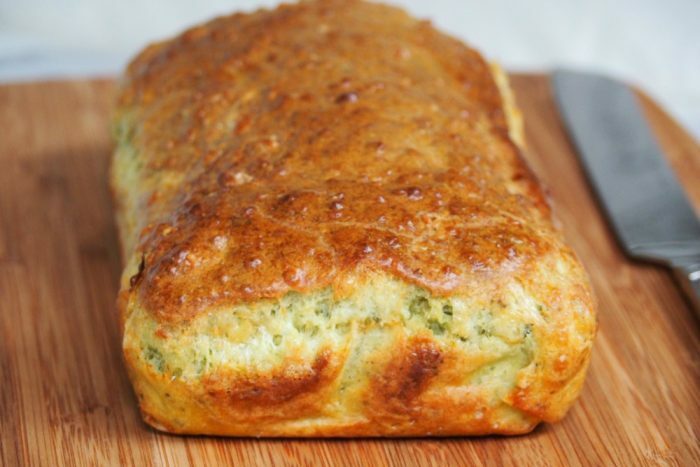 I like to think of it as a savoury cake, think of like a muffin in slice form. It’s delicious served as a side, goes great in a lunchbox but it’s best served warm, fresh from the oven with a sneaky spread of butter. Oh my! It’s so good! 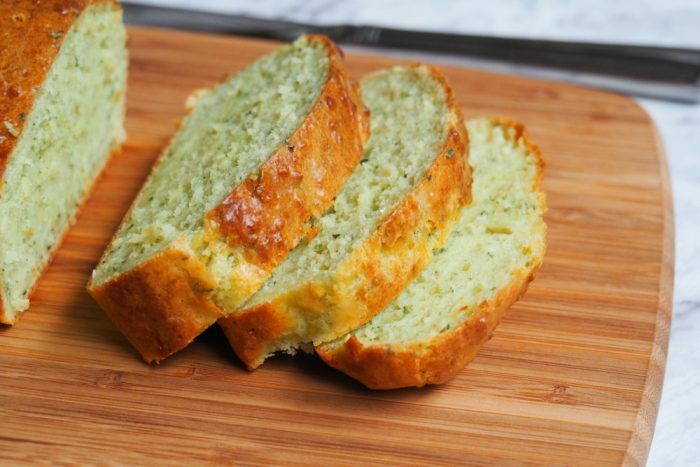 The best thing is that, whether you make this with or without a Thermomix, you can have it from oven to table in less than 30 minutes, because some things are too good to wait for. And this is totally one of them! 2. Place the flour, baking powder, oil, eggs and milk in food processor and mix until combined. 3. Add the cheese and pesto and stir gently until combined. 2. Grate the cheese for 4 seconds on speed 8. Set aside. 3. Place the flour, baking powder, oil, eggs and milk in the TM bowl and mix for 10 seconds on speed 4. Scrape down sides and base of bowl and mix for another 5 seconds on speed 4. 3. Add the cheese and pesto and mix for 10 seconds on reverse speed 3. Scrape down sides, stir spatula through and mix for another 10 seconds on reverse speed 3. 4. The mixture will be very thick and gloopy, carefully put the mixture in to the prepared tin and bake for about 20 minutes until golden and a cake tester or skewer inserted into the centre of the loaf comes out clean.